Start accepting payments via Premium SMS with Mobio.bg micropayments service on your ClassiPress, JobRoller, Vantage, HireBee, Taskerr and Clipper websites. 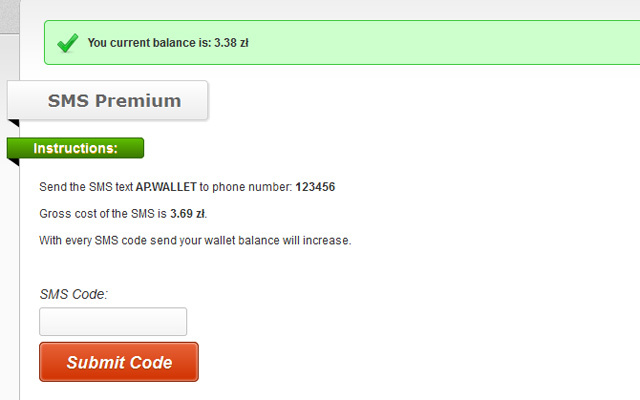 Accept payments via Premium SMS (almost all people around the world have an phone). Accept payments in 12 currencies and 23 countries (see FAQ). 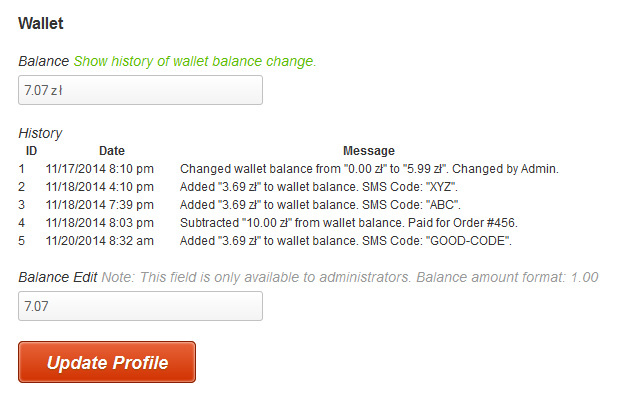 Allow customers to view their wallet and transactions history on their profile page. Allow administrators to manually change customer wallet balance. Each user on your site have created virtual wallet. 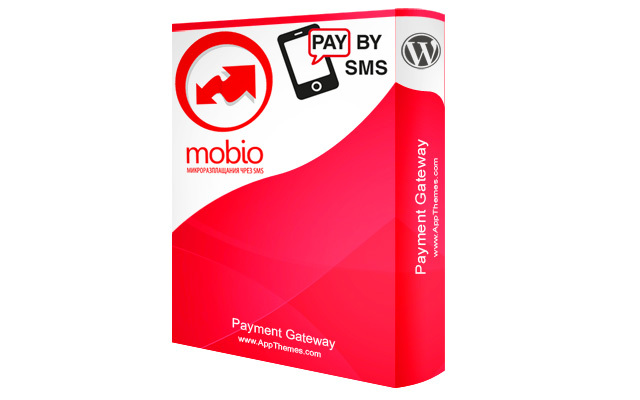 On gateway select page user choose payment by Mobio – Premium SMS. 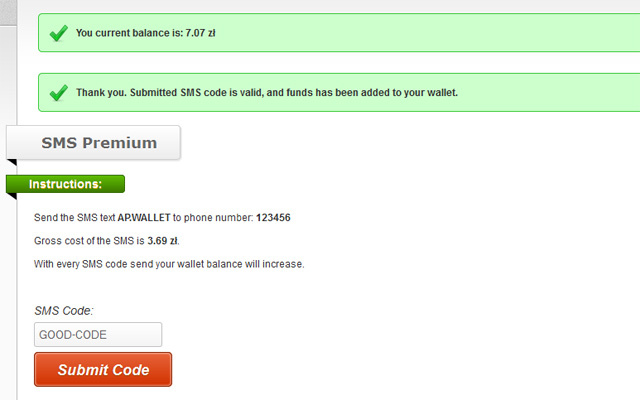 On next page he can send SMS, and enter received code to add funds to his virtual wallet. 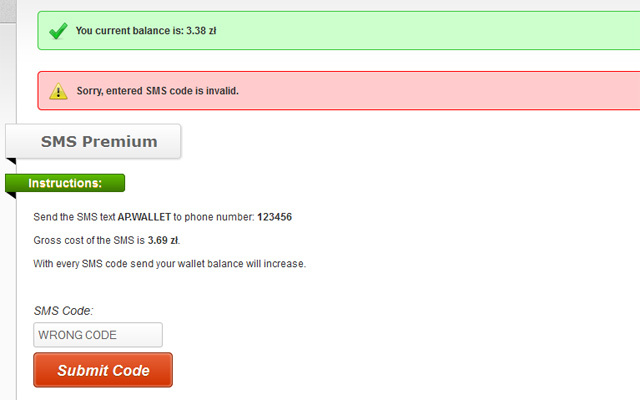 Once balance of his virtual wallet exceed the amount he should to pay for order, the SMS form get replaced with ‘Pay’ button. When he click the ‘Pay’ button, order amount being subtracted from his virtual wallet balance, and order is marked as completed. Active Mobio.bg Account — Sign up for a free Mobio.bg account. 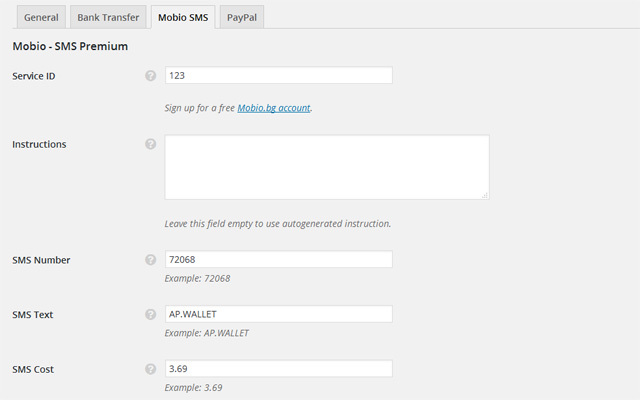 The Mobio SMS Payment Gateway will work with any theme that supports AppThemes Payments. I’m in Nigeria, can this work for my classipress powered classified ad site. No, sorry, Mobio is oriented on the Europe market, you can pay only in currencies listed on the FAQ page. Accept payments in any of 41 payment methods in Polish and Zloty currency.